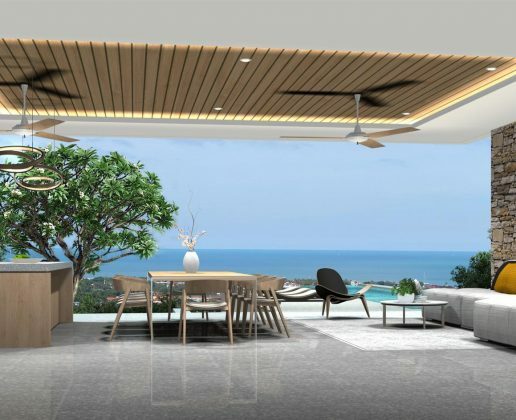 Conveniently located between Choeng Mon and Chaweng, the villa will be situated within a secure community with easy access and good quality infrastructure. 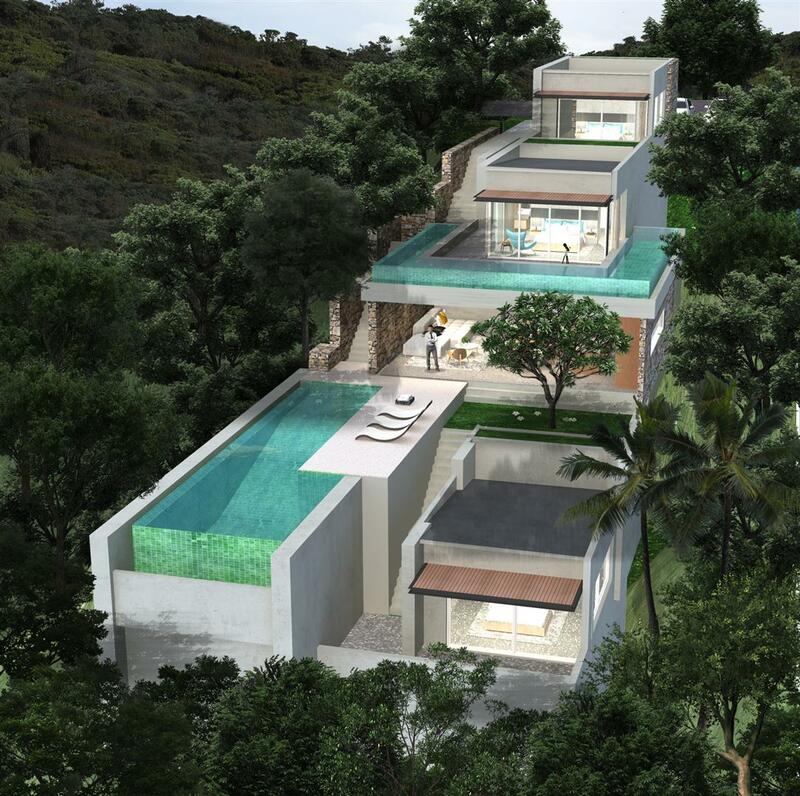 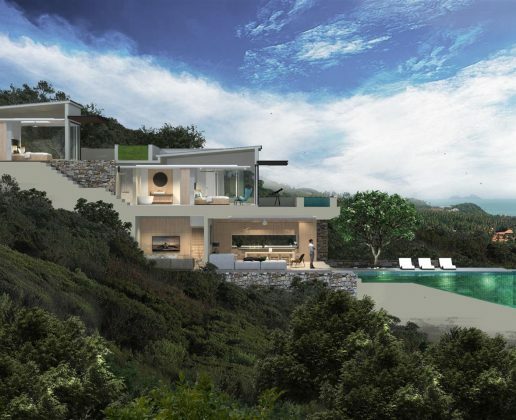 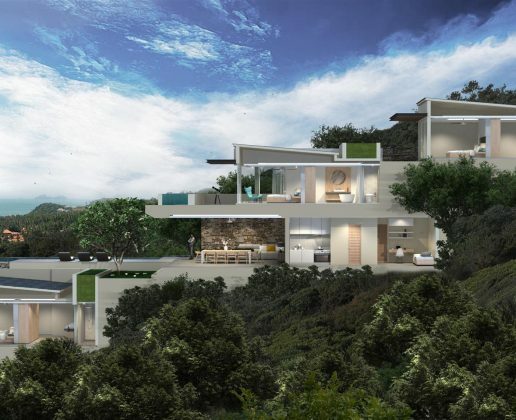 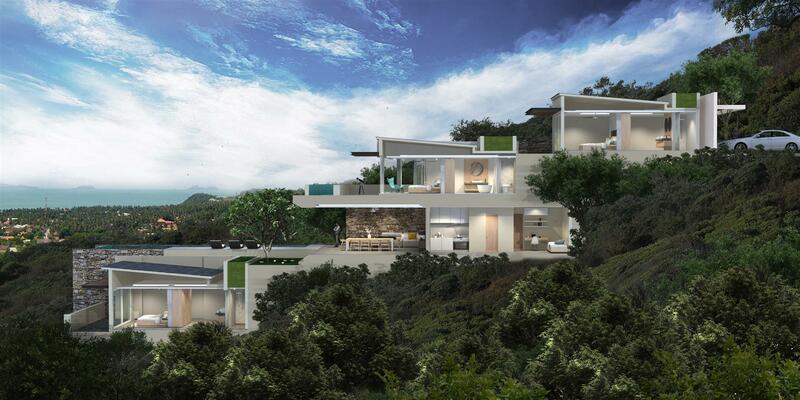 The villa will be accessed from the rear with steps leading down past the bedrooms 1 & 2 which both have ensuite bathrooms and private sea view terraces. 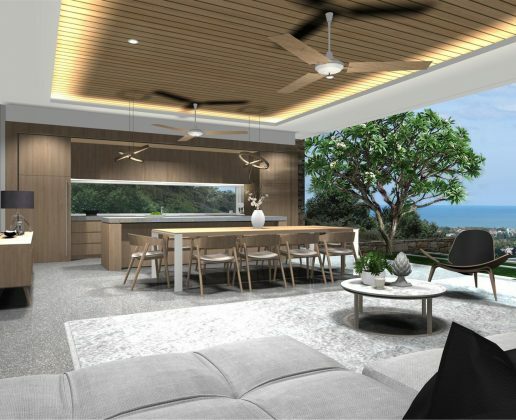 The next level down has the main living/dining areas and fully equipped kitchen, w/c and tv room as well as a hidden staff kitchen, laundry/storage area and maids apartment. 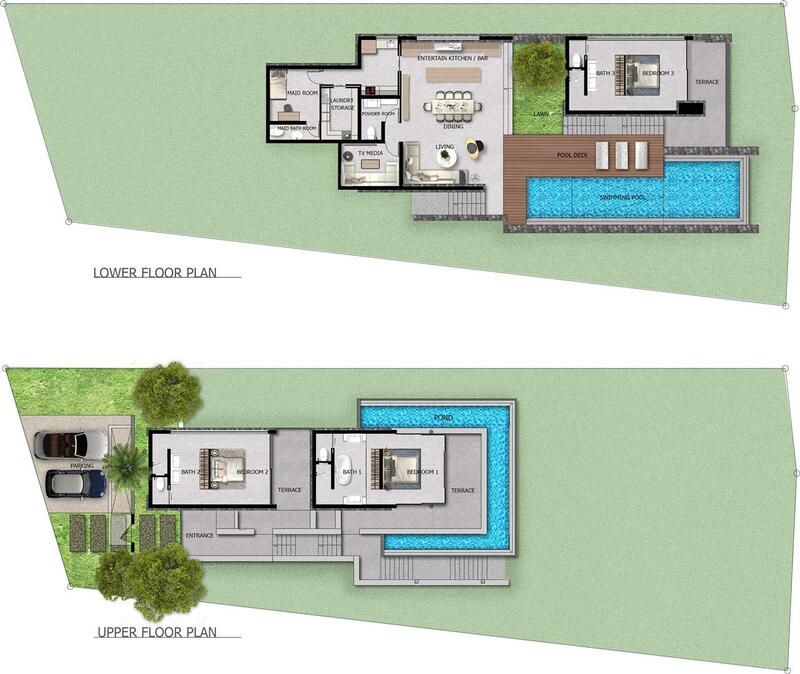 The open plan living areas lead on the the decking, lawn and infinity lap pool. 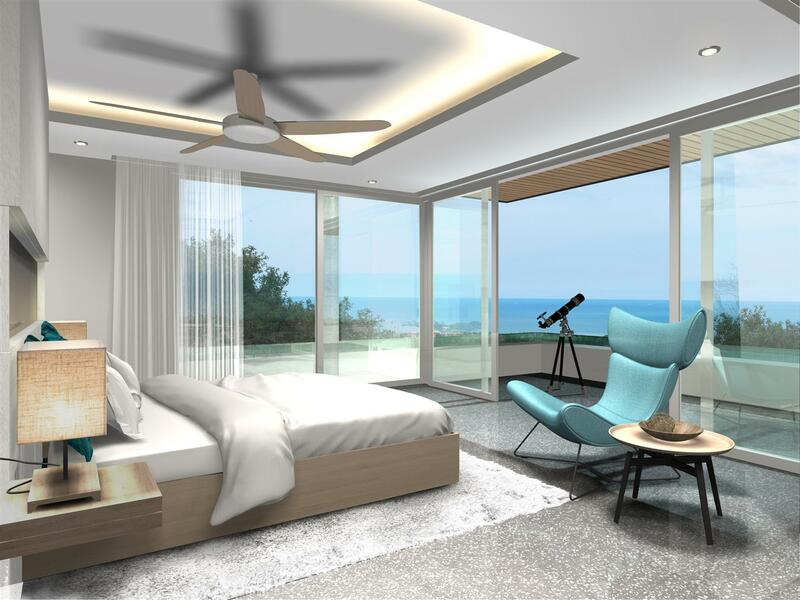 The lowest level has the 3rd bedroom with ensuite bathroom and sea view terrace. 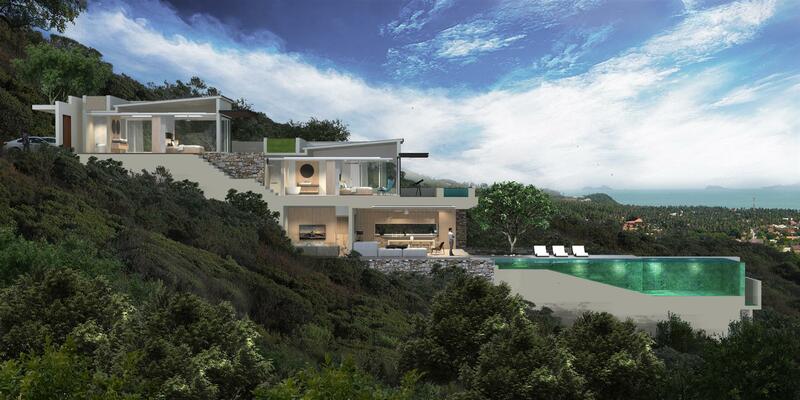 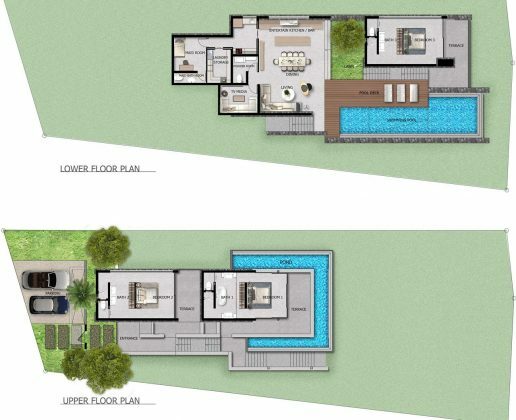 The villa will have 260 Sqm’s of internal area and 372 Sqm’s of built up external area. 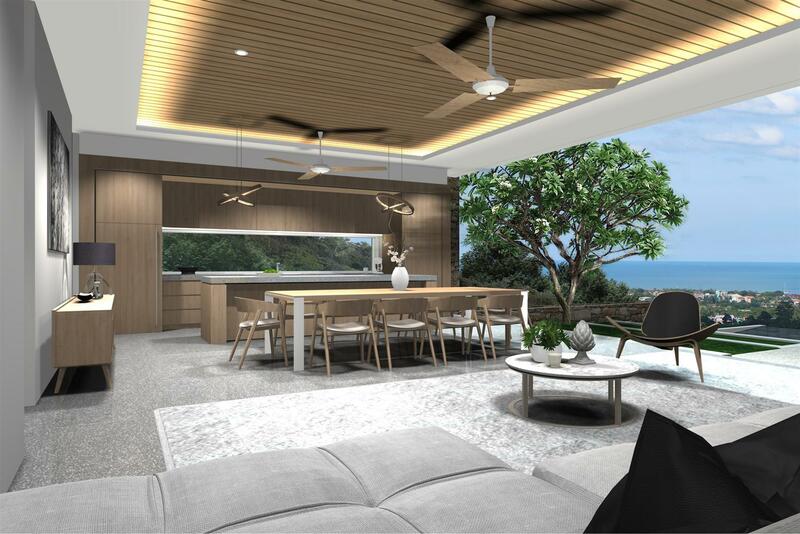 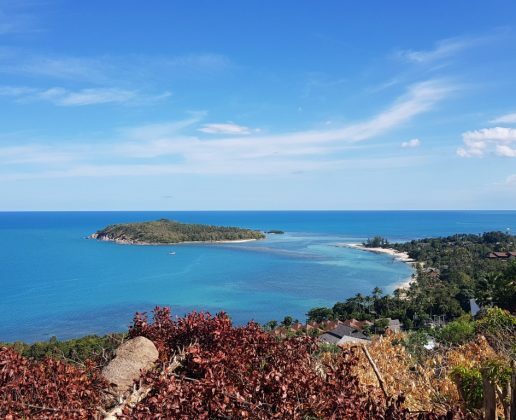 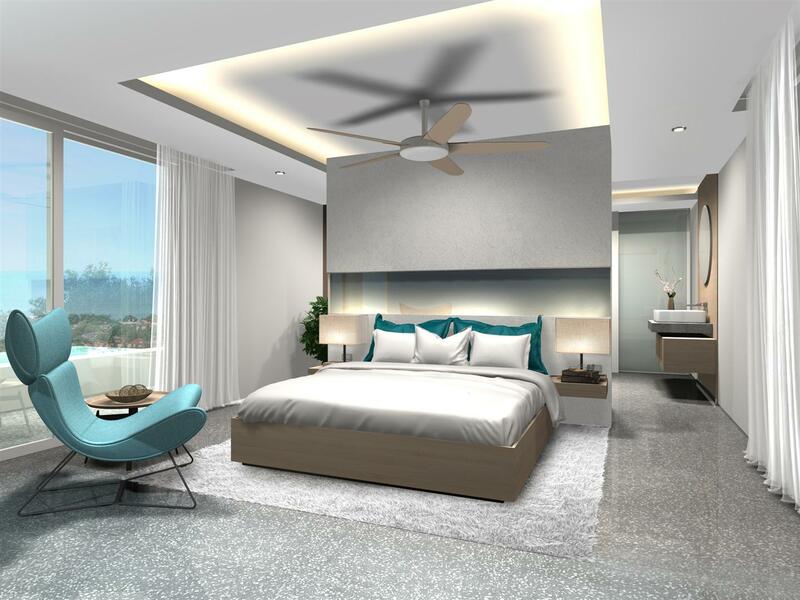 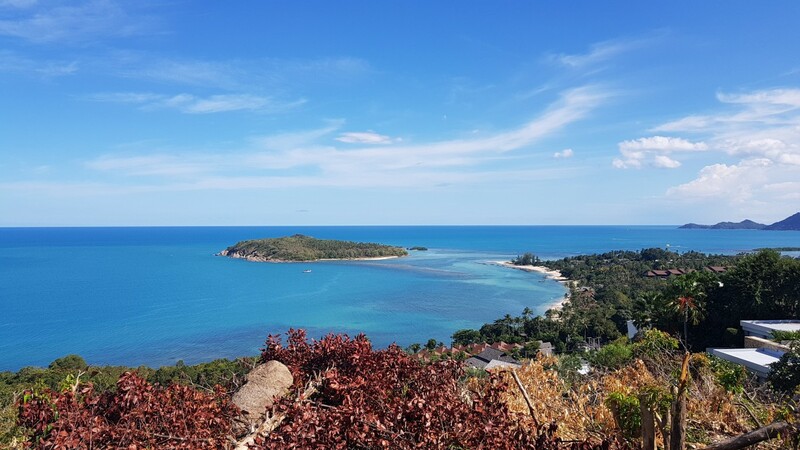 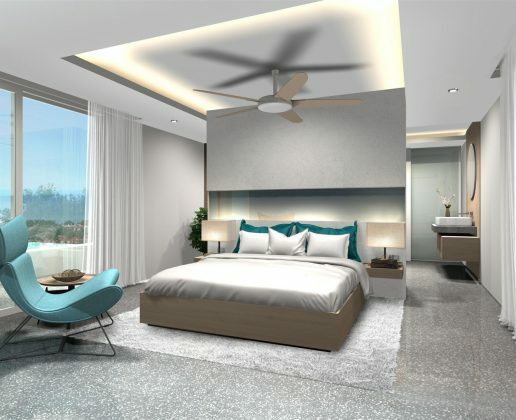 The villa will be built to a high standard with a well established construction company based in Samui who have a long list of stunning properties that they have previously built. 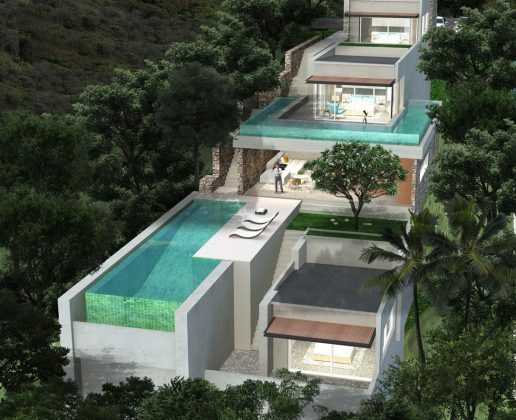 The build will take 12 months to complete. 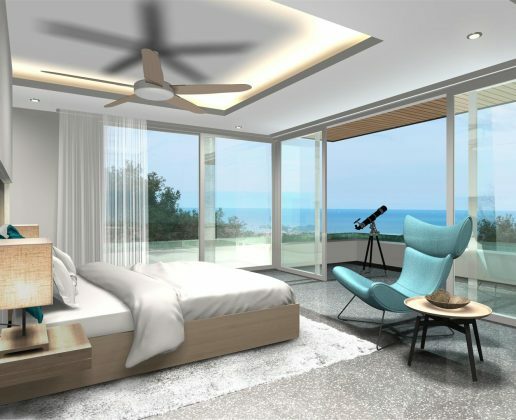 A furniture package can be purchased for an additional 600,000 Thb.